It is with great sorrow that we announce the death of Dr Theresa Jordis, a founding partner of DORDA Rechtsanwälte GmbH (at the time: Dorda Brugger Jordis Rechtsanwälte GmbH), who died on 7 September 2013 after a long fight against cancer. Theresa Jordis passed away shortly after her 64th birthday. As a name partner to the company, she was also a member of the law firm's management team and a widely acclaimed business lawyer. Her professional expertise and her personal qualities were held in the highest esteem by all those who have been working for and with her. "I was incredibly lucky to meet her and work together with her to establish our law firm and subsequently build it up to what it is today," noted senior partner Christian Dorda. "Over the many years since 1988 during which we developed – together with Walter Brugger – DORDA into a leading business law firm, her skills were absolutely second-to-none. I was always impressed by her strategic foresight, her negotiating abilities, her loyalty, her commitment and her humanity, and these qualities were instrumental in shaping our practice," explained Dorda. "Theresa Jordis was extremely dedicated to her work and always succeeded in inspiring and motivating others," remarked Georg Birkner, a longstanding colleague of Theresa Jordis. "Her strengths included a well-honed insight into human nature, a profound sense of empathy and respect for other people’s opinions. She enabled young attorneys to assume responsibility and grow with their tasks. Thanks to her personality and her leadership style, she will continue to serve as a role model for us all." Theresa Jordis specialised in corporate and foundation law, acquisitions and corporate restructuring. Her work focused on providing legal advice to family-owned businesses, including numerous private foundations with industrial participations. Theresa Jordis was a member of several supervisory and management boards. 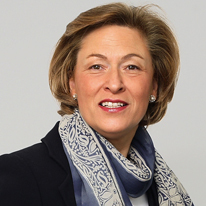 Her offices included Deputy Chair of the Supervisory Board and Member of the Strategy, Audit and Risk Committee of ERSTE BANK, Chair of the Supervisory Board of Miba AG, Wolford AG and Mitterbauer Beteiligungs AG, as well as Member of the Supervisory Board of ÖIAG, Austrian Airlines and Generali Holding Vienna. She served on the boards of more than 15 private foundations and, from 2003 to 2008, was Chair of the University Council of the Medical University of Vienna. She advised all these companies and organisations on both legal matters and issues relating to their strategic development. Since 2005 Theresa Jordis was also the President of the Vienna Konzerthaus, a leading musical institution both in Vienna and internationally. Before becoming ill herself, she was involved, as a board member, in the work of the Austrian Foundation for Breast Health (2003-2008), which is dedicated to furthering the prevention, early identification and treatment of breast cancer. She provided legal advice to numerous other charitable organisations including the Austrian Red Cross, the Haus Schönbrunn women’s shelter, Aktion St. Lukas, an association which raises money for medical aid transports, CliniClowns, and the Neue Welt fund for the education and support of children and young people. Theresa Jordis will live on in our work and in our hearts.